DEADLINE for the 2019-2020 cycle: July 15, 2019, 11:59 PM. Notification is August 19, 2019, and the first meeting is September 21, 2019. If possible, samples should be from the proposed project; if not, samples from the same team are preferred, but samples from individual collaborators are acceptable. If you need to send more than one email to include all attachments, please indicate (for example, "[Your Name] Application for AWL 1 of 4"). Writers are admitted for one cycle (September-July), and are required to reapply each year. Readmission to the AWL is at the discretion of the NOMTI facilitators. 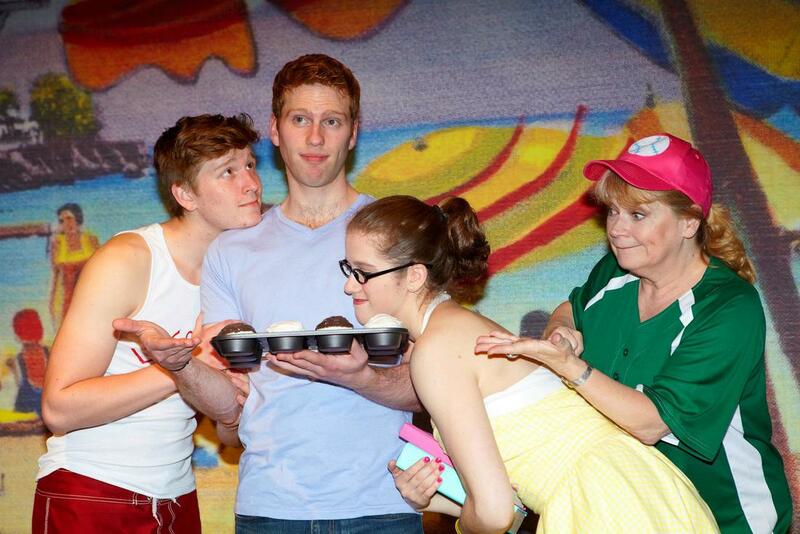 Max Sangerman, Grant MacDermott, Hallie Brevetti, and Karen MacDonald in Cupcake. Book by Bradley Seeman, music by Michael Wartofsky, lyrics by David Reiffel. Club Café, Boston, MA, 2012.